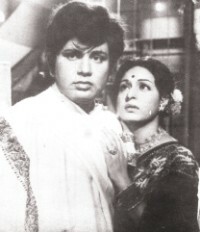 His quiet, witty words, soft smile and passion for acting won the hearts of not only those who admired the persona of Bulbul Ahmed on screen – be it the film Debdas or the popular drama serial of the 1980s “Ei Shob Din Ratri” – but, perhaps even more so, those who actually knew the man behind it. Co-star in films like Debdas and Bodhu Biday, Sarah Begum Kabori remembers the actor who passed away on July 14, 2010, just months before his 70th birthday. Later, the pair starred together in films such as Bodhu Biday, Dui Jibon, Kolmilota and Debdas. 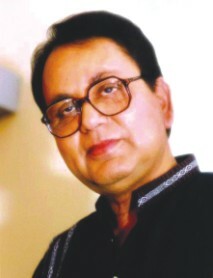 Bulbul Ahmed later won the National Film Award for Best Actor for the film in 1978, as well as those for Shimana Periye (1977) and Shesh Uttor (1980). 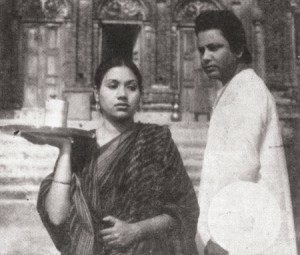 Films such as Alamgir Kabir's Dheere Bahe Meghna (1973), Shurjokonnya (1975), and Mahanayak (1985) were also highly acclaimed. With Shabana in Bodhu Biday. The last time they met was on the set of a talk show, “Amar Nayok” (my hero) hosted by Kabori. “We shot it in the upper floor of this very building,” says Kabori, looking around her house and remembering her hero. While films of the 1970s and 1980s brought Bulbul Ahmed fame, the television dramas of the three decades following brought him into the homes of families as 'Tuni'r Baba' and other characters. For those who knew him in person, it was the little as well as big things that endeared Bulbul Ahmed to them -- his soft-spoken yet witty words, his passion for his profession and his philosophy of life. While his audience will miss their Mahanayok and Debdas, those who knew him, will miss the man who made them heroes.